Home Boxing Tyson Fury Vs Deontay Wilder: WBC Sanctions Rematch! Tyson Fury Vs Deontay Wilder: WBC Sanctions Rematch! 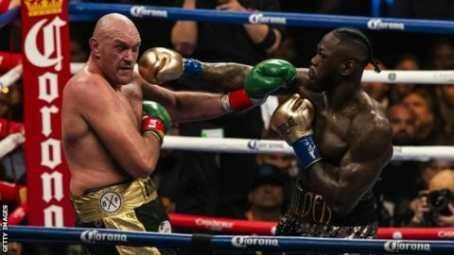 The World Boxing Council (WBC) has sanctioned a rematch between heavyweight title holder Deontay Wilder and Tyson Fury. 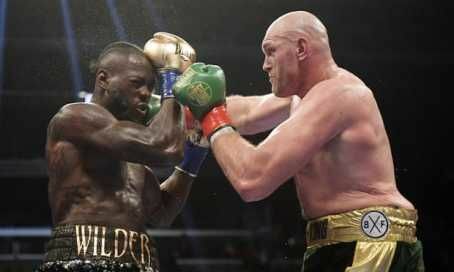 In Los Angeles, they both faced off but the match ended in a draw and Wilder retained his title. Meanwhile, Fury over the past few days has made it clear he wants a rematch, Wilder also. In a statement on Friday, The WBC confirmed there was "unanimous agreement" to sanction a rematch in a meeting of the board of governors. "Wilder and Fury gave boxing one of the best fights in the heavyweight division in a long time, which has created tremendous popular demand for the fans to see a rematch," it said. "The WBC is happy to confirm a direct rematch has been approved." Rematch Is On Who Do You Support?